Landroid S500i (Model 20 . . . The Worx Landroid S500i (Model 2018) is the successor of the Landroid S500i (Model 2017). 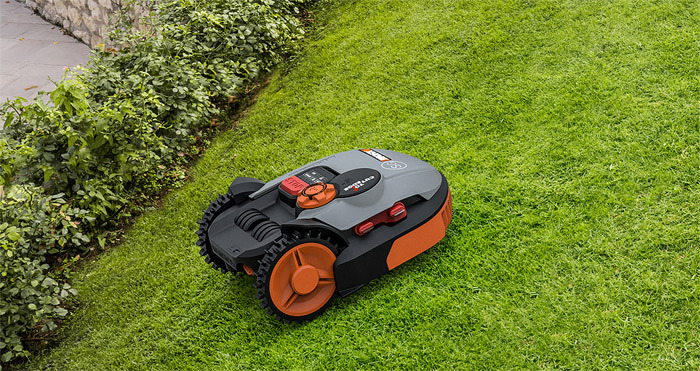 It has a system of intelligent lawn mowing, a lithium-ion battery and a free app for controlling and setting. Everything is already included with the delivery to start directly. You do not need to buy any additional accessories. The perimeter wire is laid once around the lawn and then the Worx mows completely automatically. AIA recognizes the garden and mows it more systematically than other mowing robots. Nevertheless, the Landroid makes no tracks in the lawn, but still works slightly at random. 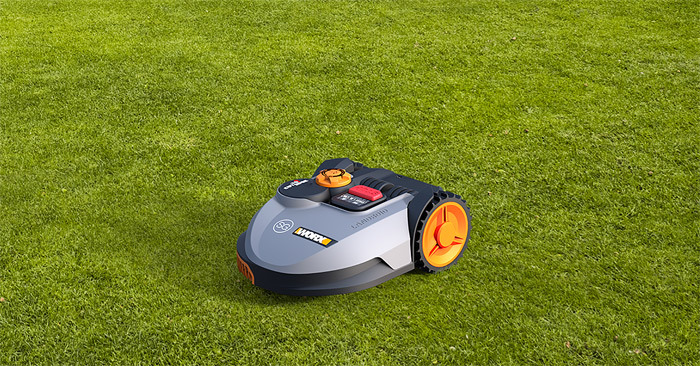 The Worx Landroid S500i (model 2018) features the patented AIA technology and thus mows very close and effectively on the lawn edge. Hardly any mowing robot so close to the edge and hardly leaves a blade of grass standing. The Worx has special tyres and can therefore also work on gardens with inclines or slopes. This can be up to 20° or 35 %. The Landroid S500 i measures moisture in the air and mows only in dry weather. This prevents the lawn from clumping together. The PinCode protects the Worx Landroid from theft and makes it unusable outside its actual mowing area. The charging station is designed to grow into the lawn. This means that only the contacts are visible. Visually a really good idea. You can test the Worx Landroid S500 i - WR105SI in your garden. We give 3 years warranty (upon registration) and free support on Worx Landroid. "You don't know if it's the right decision? Try it in your garden and get your money back if you don't like it. 100% service, 0% risk!" If you have any questions or problems, the Household Robotic Team is at your disposal personally, by telephone or by e-mail.